The Melbourne International Comedy Festival has arrived, like a dear old friend, right on time. Junipalooza was brought to Melbourne by some of the biggest gin consumer resources available, Gin Foundry and The Gin Queen. With reputations and interests that stretch globally, the combined force and passion of these two produced a carefully curated exhibition of charismatic makers and top-notch gin. In such a big world where individuals and small businesses can easily get lost in the vast choices available, consumers are craving connection and unique experiences. Junipalooza effectively taps into the inherent appeal of new wave gin: the ability to connect with the maker’s origin story and intent. And in our pursuit of fabulous gins and makers willing to share their stories we also found connections with each other. Halloween is upon us and even though our gardens are laden with spring blooms, pumpkins abound in stores. I've always been partial to a horror film, cheesy or terrifying, and I love the fantasical tales of witches and goblins, the mythical night when spirits drift between worlds. It is a night ripe for Hocus Pocus, these are our picks for embracing your dark side this Halloween. We've made no secret of it, it's our favourite time of year. The balmy autumn evenings, the buskers our in force, the jaunty lights of the town hall and people rushing all about the CBD with grins from ear to ear. Check out all our selections from the program and may you have many laughs this festival season! Was there another post of ours that stood out for you? We’d love to hear it, let us know in the comments! 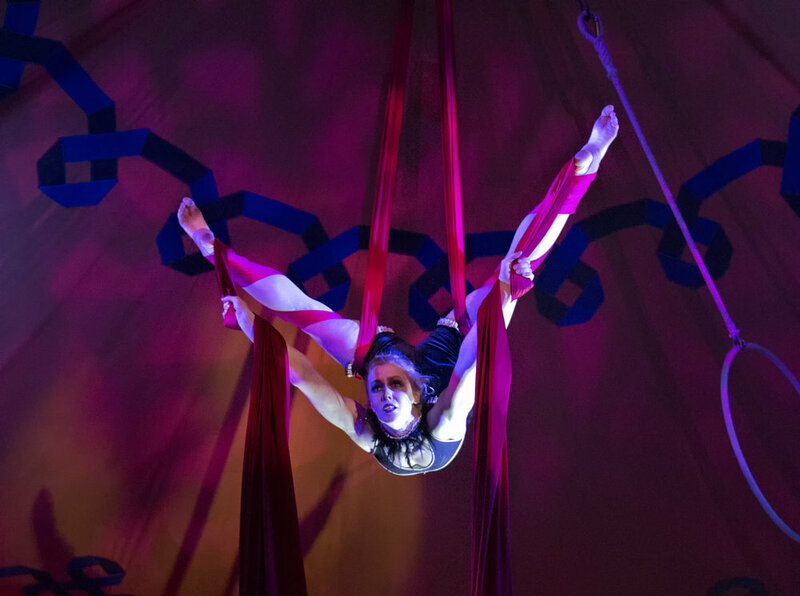 What could be a more fitting performance during October to inhabit the Circus Oz Melba Spiegeltent than a wicked, tragic tale of lost loves and conflicting desires against the backdrop of a 19th century circus? A dramatic combination of music, dance, and circus performance, The Carnival of Lost Souls succeeds in capturing the audience in an eerie atmosphere and inspiring awe at the mastery of its cast. There could be no other venue than the Melba Spiegeltent, its mirrored walls reflecting the spectacles before us and magnifying their impact. Around the third week of August you start to hear it. The week before it is just a feeling, a heartbeat. The third week of August it becomes audible: the rush of blood in your ears, like holding a shell up to hear the ocean. Then when the first warmth of sunshine hits and you feel your nose beginning to defrost the thumping becomes louder, driving your feet to move a little bit faster as the sluggishness of winter melts away. Then on September 1st as the sun devours the grey rain clouds for the first time since May and the magnolias blossom, the drums of Spring reach their crescendo and the hope that Summer will come again is reborn. No matter my taste now, no doughnut smells better than one freshly cooked and rolled in cinnamon sugar! If cinnamon doughnuts represent the simplicity of childhood; then my high school years smell like sugar dough, are splashed with raspberry, and have all the gooey messiness of a jam doughnut. The royalty of immersive experiences, Secret Squirrel Productions, staged one of their twice-yearly productions of Underground Cinema over 20th - 30th July, with the thrilling medieval theme 'kingdom'. This was our first encounter with Underground Cinema and we dove into the opportunity to dress up and rove through the grounds of Eltham's Montsalvat, Jameson Whiskey night warmer in hand. Our night was full of fun, frivolity, intrigue, adventure and cinematic delight The Princess Bride at the end! Underground Cinema, we are hooked, when's the next one? In a world where customers are looking for easier ways to filter down to businesses that match their needs and values, movements and the tracking of businesses committed to sustainable practices are invaluable. To contribute to our part in this, Melburnian Guide is collaborating with Responsible Cafes and The Last Straw to let you know which venues we've reviewed that have signed up to their sustainability pledges. We will indicate participating cafes by badging the review with the Responsible Cafes and The Last Straw logos, like for our recent review of The Grey Smith. Melburnian Guide to are just as passionate about community as we are about coffee so this month we are launching a 'Businesses We Love' page which will feature eateries and businesses we encounter that use environmentally sustainable practices or show community leadership. With June’s arrival winter descends and this year it feels right on time. Each season holds its charms and a Melbourne winter is very much a diamond in the rough. The wind blows a gale and can chill to the bone, true. People rush up and down the city streets, cloaked in Brack’s black, shoulders hunched, dodging the slippery cobbles. Winter falls elegantly, the city twinkling through rain soaked nights almost like walking through the stars. During the day cups of Proud Mary, Axil and Seven Seeds warm cold hands and in the evenings the haloed street lamps light the way to the revelry writhing beneath. Melbourne is nothing short of vibrant in the warmer months, as you would expect any city to be, but in winter it truly comes alive. Good Beer Week is one of those beautiful opportunities that Melbourne throws at you to indulge, to step right up to some challenging flavours and come out the other side with a story of your own. MICF attracts over 770,000 patrons annually and many comedy superstars of the likes of Russell Howard, Judith Lucy, Wil Anderson, Ross Noble, Hannah Gadsby, Dave Hughes, Jason Byrne and Ruby Wax return at least every second year. The Festival is also a crucible for break out acts and many a devotee can recall the beginnings of a well-known comedian. While the Comedy Festival runs for nearly a month the CBD is quite full each evening and finding a place to eat or drink either side of an show, let alone a place that matches the act that you are seeing, can be difficult. Planning and booking ahead can make or break your night. Never fear, Melburnian Guide to has you covered. We give you our pick of the MICF acts and their paired restaurants and bars. Enjoy your Comedy Festival, we wish you delicious quips and tasty bites! Melbourne is mad for outdoor cinema in the summer and it has reached its zenith over the 2016/17 season with no fewer than 9 at last count. I have to say I'm mad for them too, I love spending an evening under the stars watching old and new favourites. The Common Man is hosting a pop-up cinema at South Wharf, paired with a glass of Lillet to ward off the Yarra chill.